Slim Pickens A real cowboy who captured the hearts of America. 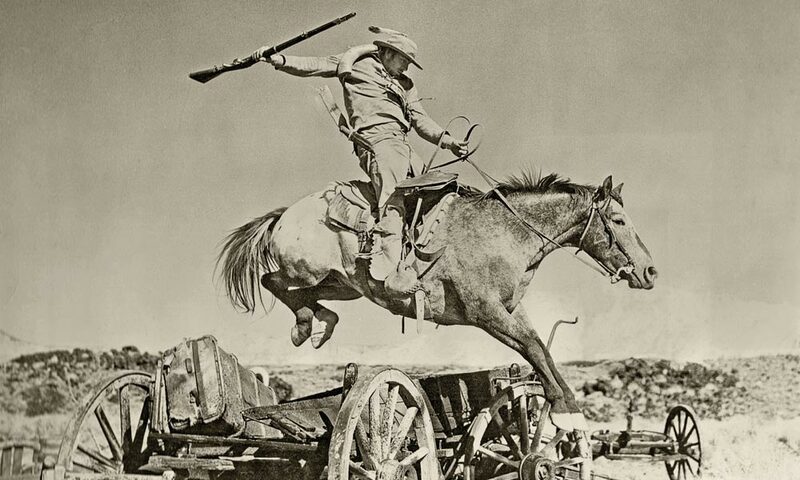 For 1955’s Santa Fe Passage, Slim Pickens jumped his favorite horse, Dear John, over a wagon. Show me a magazine cover with a pretty girl, a baby or a dog…and I’ll show you a magazine that sells,” publishing legend William Randolph Hearst once said. For True West, our biggest draw is turning out to be a rodeo clown-turned-actor. The magazine posts quite a few pictures on our Facebook page, hoping for a reaction. Until now, the most enthusiastic response has been to the walk-down shot from 1993’s Tombstone, which reached about 405,000 people. But when we ran what is now this issue’s cover shot, of a grinning Slim Pickens, we were overwhelmed by the response: more than 108,081 likes, 8,327 comments, 22,883 shares and the granddaddy number of them all, 2,373,360 views. To make sure this was not some fluke, True West republished the picture for social media fans, and the numbers nearly repeated. Why the astonishing response? Why, more than 30 years after his passing, is an actor who was never the lead in any of his movies, still so beloved? 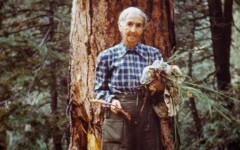 Going by his accent, many have assumed that Slim was from the South, but he was born Louis Burton Lindley Jr. in Kingsburg, California, not far from Fresno, on June 29, 1919. His father, Louis Sr., was from Texas, and his mother, Sally Mosher Turk, hailed from Missouri, which altogether explained his drawl. 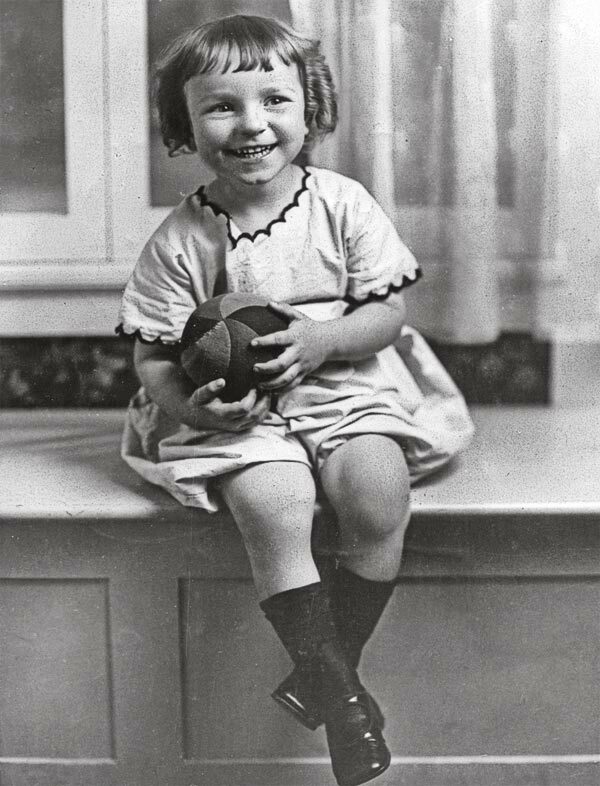 Slim Pickens as a Child. 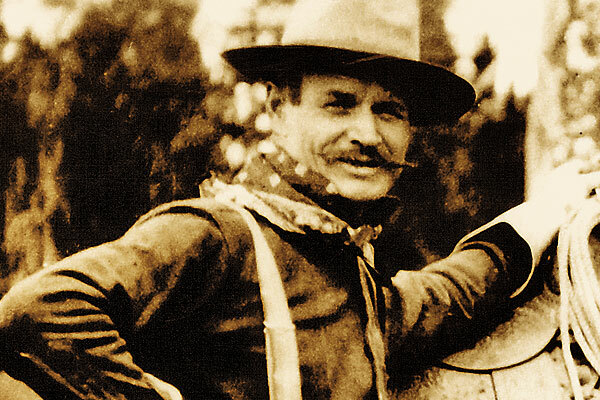 The Lindleys were a ranching family, and Louis Jr., then called Burt, was at home in the saddle from an early age—he had his own horse when he was four. But while Burt was expected to work on the family ranch, by the time he was 15, his true passion was for rodeo. That day, he won $400, right out of the chute! 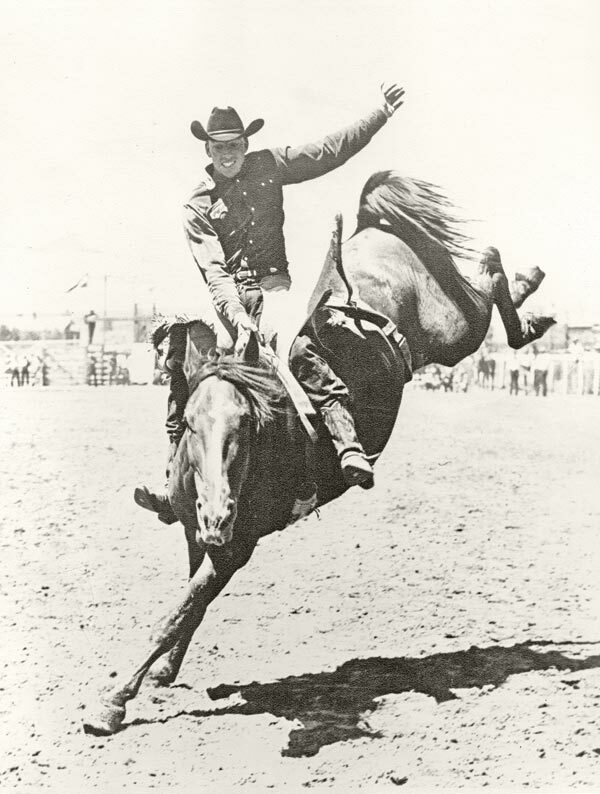 Louis Burton Lindley Jr. was born into a ranching family, but the rodeo career that landed him his “Slim Pickens” name was not a life his father approved of in the beginning. Slim became immersed in rodeo, an institution of the Southwest with roots stretching back to the Conquistadors in the 1600s. The rodear, Spanish for “go around” or “round-up” was made a formal, legal requirement in California with the “Act to Regulate Rodeos” of 1851, its purpose not a competition of skills, but to separate intermixed ranchers’ herds and to brand cattle. Not surprisingly, the vaqueros took the opportunity to show off their talents, and the various competitive events evolved. In a sense, rodeo may date even farther back. The Minoans of ancient Crete rode and wrestled bulls, and some evidence suggests bull wrestling may have been an event of the early Olympics of ancient Greece. While rodeo clowns may wear costumes and makeup similar to circus clowns, their primary job is much more serious and dangerous: to protect bull riders. When a rider is thrown, the clown must distract the angry animal long enough for the rider to make it to safety. Never a cakewalk, the rodeo clown’s job became a lot rougher in the 1920s, with the introduction of the mean-natured Brahma bull to the entertainment. He was so at the top of his game that Slim’s name was included in rodeo advertisements, probably a first for a rodeo clown. In 1950, Slim met the love of his life, Margaret Elizabeth Harmon, in what Hollywood would consider a perfect “meet cute.” Margaret was galloping her horse at the Madera racetrack when Slim, not looking, stepped out on the track, and she nearly ran him down. He just had to meet that beautiful redhead who was giving him such a dirty look. Margaret was the sort of human calculator featured in Hidden Figures. “Mom worked for Howard Hughes and was a mathematical genius. She figured out things like how much runway a plane needed to land,” Giardino says. It was a good thing that the math whiz, and not the high school dropout, was in charge of the money. “Dad did not care how much he made on a film. All he cared about was the per diem—because Mom took the checks, but they gave him the per diem in cash, so he liked that,” Giardino says. When Slim Pickens got his sidekick gig in Singing Cowboy Rex Allen’s Westerns, the two already knew each other from the rodeos. 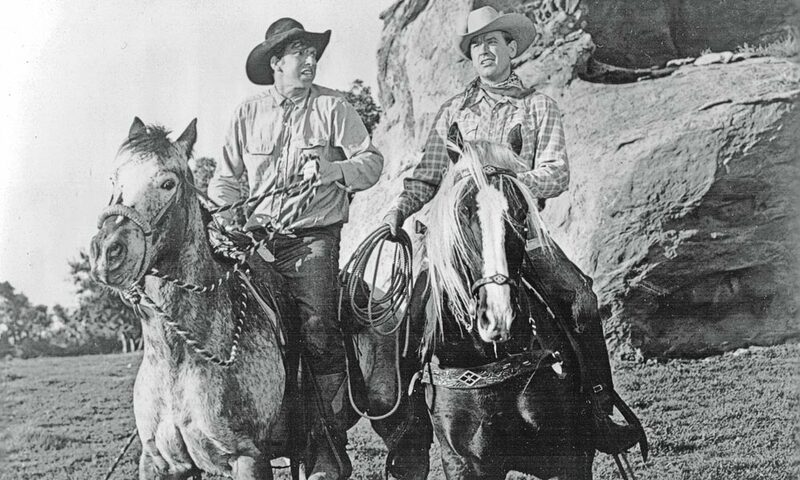 Allen called Slim the “top clown bullfighter in the business.” Slim rides at left next to Allen in 1953’s Iron Mountain Trail. Republic Pictures saw Slim’s potential and signed him up as a sidekick in the Rex Allen Western series, starting with 1952’s Colorado Sundown, in which Slim played two characters—both Joshua and Joshua’s mother! Although filmed at the tail-end of the B-Western-era, these nine movies were engaging, well-made and zestfully directed by action master William Witney. Aside from Margaret, the other great love of Slim’s life was one his audiences would recognize—a blue roan Appaloosa, Dear John. Slim spotted the young gelding in a Montana pasture in 1954 and convinced Margaret that he was worth the $150 investment. “So my mother would let him buy the horse, he said, ‘Let’s buy him, and he’ll be your horse.’ Of course, that didn’t happen,” Giardino says. After Slim worked with trainer Glenn Randall, Dear John could buck on cue, throw kisses, shake his head yes or no, sit like a dog and grab a blanket off his back and throw it. In One-Eyed Jacks, the only film Marlon Brando ever directed, Slim’s Deputy Lon Dedrick was mean, humorless and corrupt. 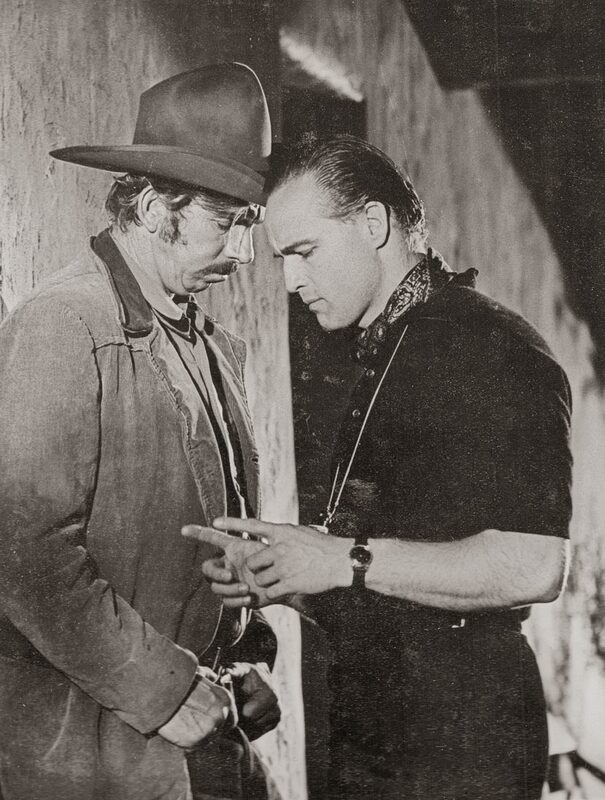 Marlon Brando directs Slim Pickens on the set of 1961’s One-Eyed Jacks. The best acting you’ll ever see from Slim is this Western; his own daughter couldn’t glimpse her father in that ornery character! In addition to his busy acting life, Slim took on a behind-the-scenes role in 1962, as technical advisor, as well as on-camera actor, on the NBC series Wide Country, starring Earl Holliman as a rodeo star and Prine as his younger brother. Slim even wrote the stories for a pair of episodes. Prine also learned plenty from Slim. Brought to California from Broadway, he’d never even seen a rodeo when he walked on set in his wardrobe, with his jeans cuffs rolled up. “Slim looked at me a minute, and asked, ‘Do you dig ditches in this script?’ I said no, and he said, ‘Then roll down the cuffs of your jeans. No rodeo rider rolls his cuffs up, the reason being you’d get hooked by a horn on your cuffs.’ He looked at me another minute. I had this brand new Stetson hat on. He said, ‘Let me have that a minute.’ I gave him my hat, and before I could say a word, he spit tobacco juice all around the hat band and rubbed it in. He said, ‘Makes it look like you’ve been to work.’ I realized that I was dealing with a man who knew what he was talking about. I thought the world of Slim,” Prine says. Slim Pickens acted in Charles Bronson’s final Western, 1977’s The White Buffalo. 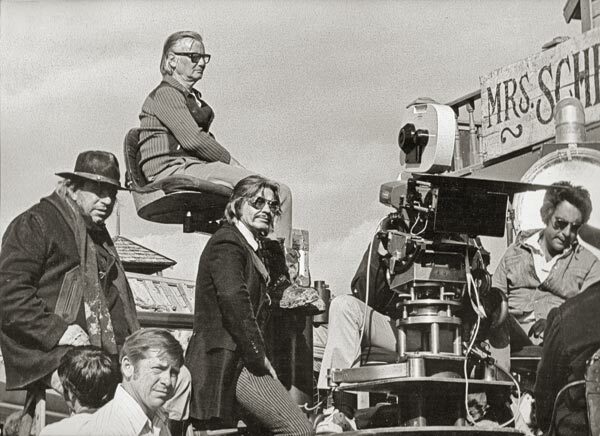 Slim sits at far left, next to Bronson, just beneath Director J. Lee Thompson on the high crane. Bronson wears dark sunglasses, which he did regularly throughout the movie, irritating some fans of the real-life “Wild Bill” Hickok he was portraying on film. Pickens had more of a cameo role, as the stagecoach driver. The role that made Slim not only a star, but also an indelible image in American consciousness was just around the corner. Filming for Dr. Strangelove, Stanley Kubrick’s black comedy about a demented general leading the U.S. into nuclear war, was nearly completed when an unforeseen problem shut down production. Star Peter Sellers had already played three roles: a Royal Air Force officer, the U.S. President and Strangelove. He was all set to play bomber pilot Maj. “King” Kong, when a problem arose. Widely reported by the media, Sellers was said to have broken his leg or become ill. But when Slim was urgently contacted to play Kong, the explanation was a lot simpler: Sellers couldn’t get the accent right. Having never been out of the country before, Slim didn’t realize he needed a passport until after he arrived in London. He had to stay at the airport until one could be rushed to him. The mishaps didn’t end there. Slim rides down one of two bombs, each showing their names painted on them: “Hi There!” and “Dear John.” Kubrick let Slim name them, and, of course, Slim meant to ride down Dear John, but a miscommunication put the bombs in the wrong positions, so Slim ended up straddling “Hi There!” while he whooped and waved his hat in grand rodeo fashion. Slim would later learn from Van Heflin, an acting buddy and lifelong friend, that Slim had come within two votes of an Oscar nomination for 1964’s Dr. Strangelove. 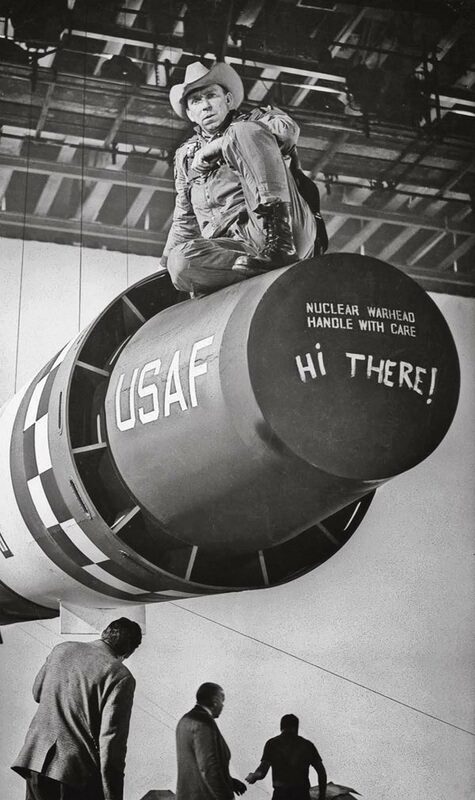 Slim Pickens didn’t love this bomb in Stanley Kubrick’s Dr. Strangelove. A mistake landed him on “Hi There!” when he was supposed to ride down the “Dear John” bomb, named after his favorite horse. The 1960s continued to be busy acting years for Slim. He appeared in the first of four films for Sam Peckinpah, Major Dundee. Both men particularly enjoyed working on that film together because they’d grown up in the San Joaquin Valley and knew each other long before they’d entered the film business. In 1966, Slim played Buck, the stagecoach driver in the remake of Stagecoach. Norman Rockwell, hired to paint the poster, created individual portraits of the cast. The shy artist, intimidated by the stars, insisted on painting Slim first, because he was a regular guy. In 1972, Slim costarred with James Coburn in the best film ever made about rodeo, The Honkers. A real Westerner as well as comedian, Slim was the most authentic element in Mel Brooks’s 1974 delightfully flatulent Western farce Blazing Saddles, his best-remembered role after Dr. Strangelove. After a long career in rodeo, and after 172 film and TV roles, Slim fought a long, valiant battle against a brain tumor. Although the cause is unknown, his daughter suspects that all of the punishing blows he received to his head during his rodeo years may have been to blame. Slim died on December 8, 1983, at the age of 64. Why is Slim Pickens so beloved after all these years? I think people love him because of the good-natured, cocky heroism he revealed whenever he’d get into the arena to lead a bull away from a downed rider. I think, in that cover snapshot, he perfectly embodies that confidence strived for by all Americans. The historians admire that he was the real thing, and the movie fans admire that he was so damned good. In a way, when we watch him straddle that bomb, how can you not envy the joie de vivre of a man who’s determined to enjoy the ride all the way down? Butch Cassidy Wannabe The strange tale of Butch Phillips. Is it true that the posse that gunned down Joaquin Murrieta and Three Finger Jack put Murrieta’s head and Jack’s hand in pickled jars to collect the reward, and that these “proofs” were later put on display?